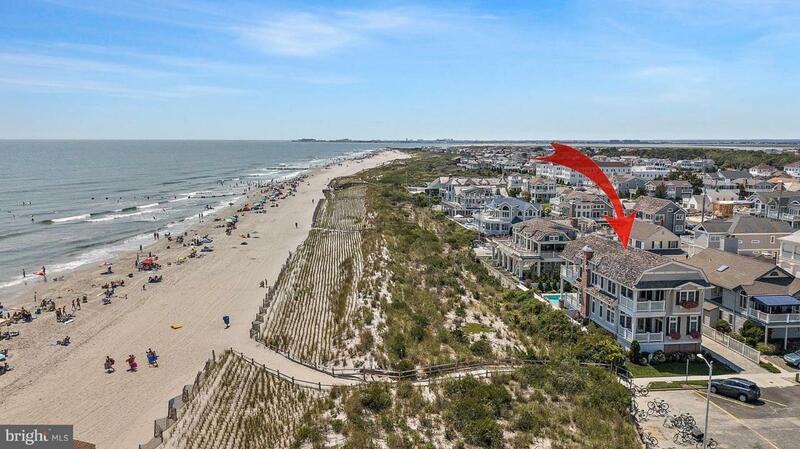 This magnificent OCEAN FRONT property has spectacular VIEWS up and down the coast. 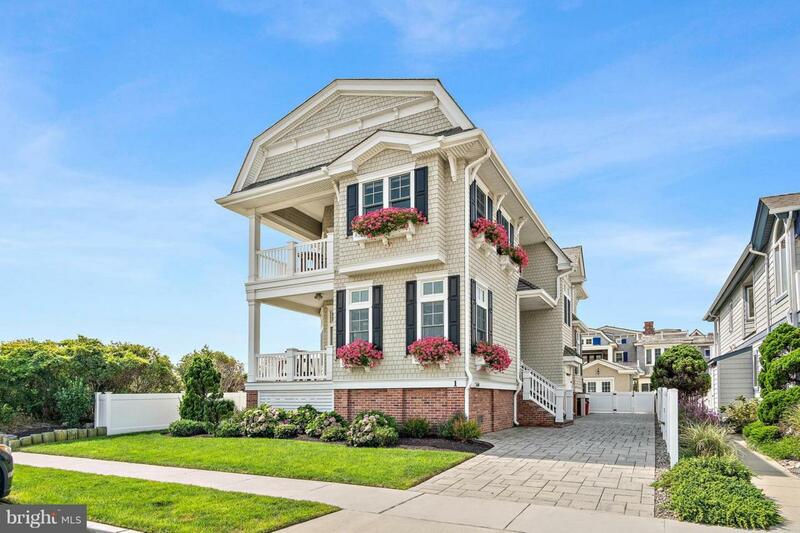 As one of the few ocean front houses with VIEWS from the first floor, this 5-bedroom 4 bath plus powder room offers the charm discriminating buyers look for in a beach house coupled with high quality construction and finishes. 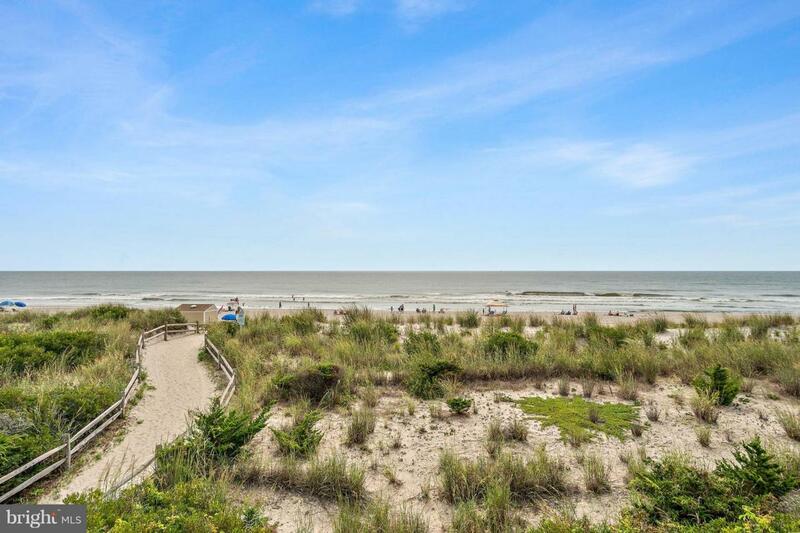 The day begins with breathtaking sunrises enjoyed from one of the ocean front decks. Whether on the deck, or relaxing in the dining room/living room, the view is the star of the show. The first floor offers four bedrooms, two with en-suite bathrooms. The family room is located at the back of the house overlooking the yard and beautiful pool. There is a wet bar along the back wall in the family room, which is perfect for pool side parties or just relaxing inside. As you walk up the stairs into the large gathering area, the windows drench the room in sunshine offering views as far as the eye can see. Family and friends will enjoy sitting around the granite island in the kitchen or dining outside on the covered deck. During the off season, the gas fireplace makes the room cozy and warm. Off the kitchen area, a butler~s pantry is perfect as a prep area or serving as a bar. The powder room behind the butler~s pantry is bright and airy and offers a glimpse of the ocean. The luxurious master bedroom has a spacious walk in closet, large bathroom, private ocean front deck and sitting room. The amenities continue in the back yard as you enjoy the heated pool and relax along the pool deck. 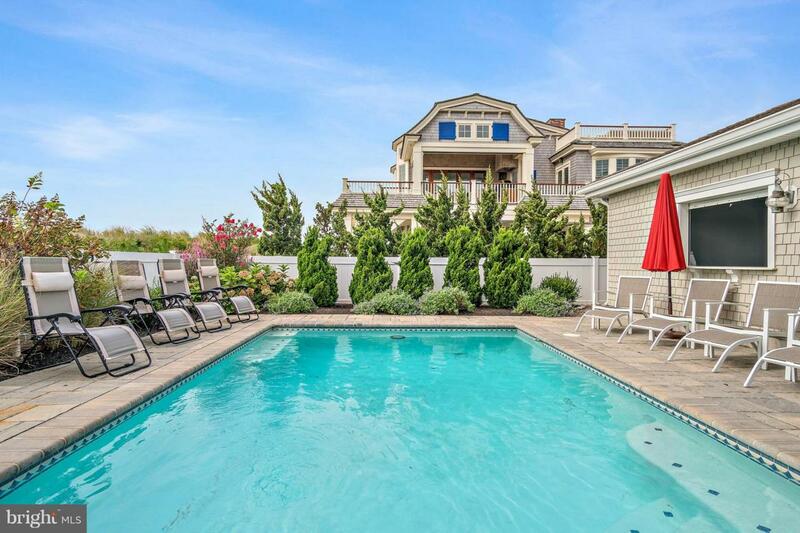 The pool house has a wine chiller and plenty of room for bicycles and beach chairs.